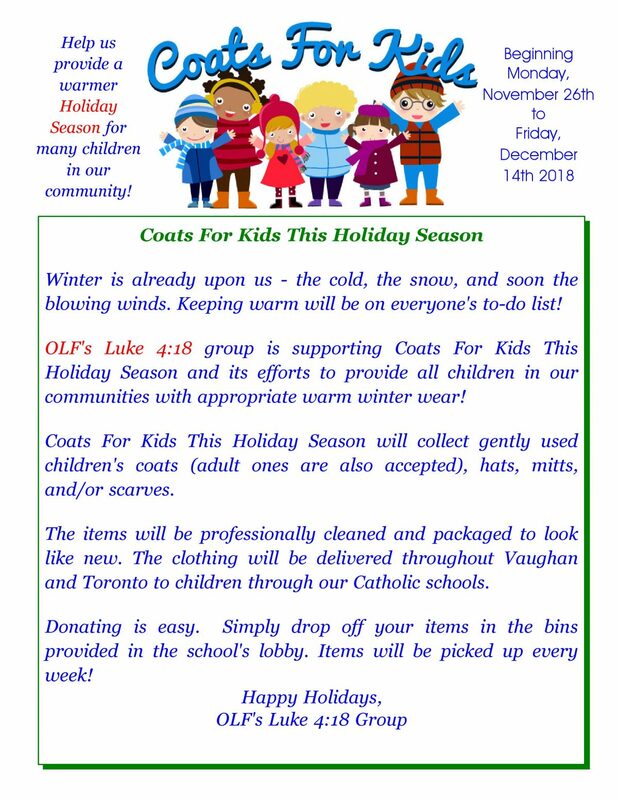 OLF’s Luke 4:18 Committee is once again supporting Coats for Kids this holiday season. We will be collecting gently used children’s coats, hats, mitts and scarves. The items will be professionally dry cleaned and packaged to look like new. 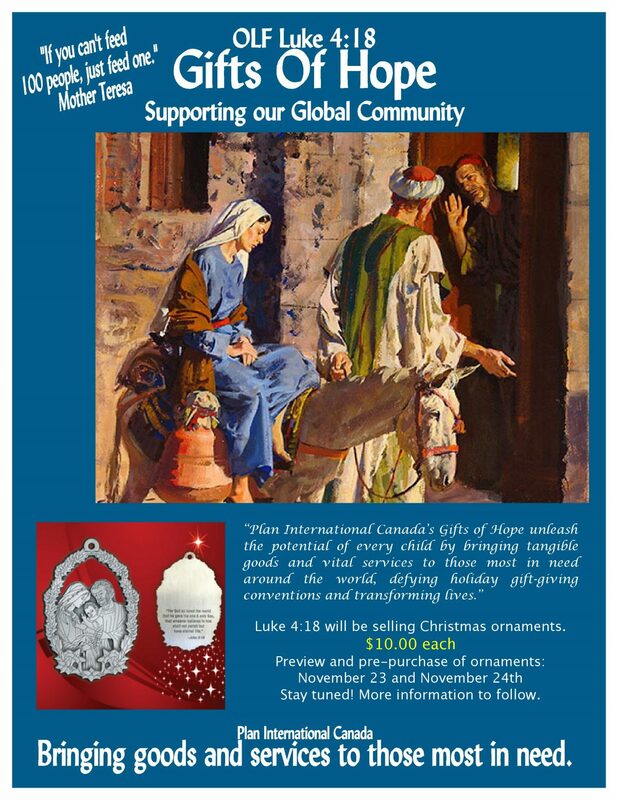 The donated clothing items will be distributed to children in need through out Vaughan and the GTA. Thank you for supporting Coats for Kids! Coats ... Continue reading "Coats for Kids"